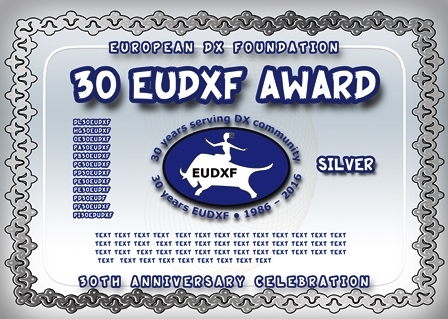 Unfortunately I received several questions about missing 30EUDXF awards. Please be advised that all applicants should have received their award by email at February 12, 2017. If not, please drop me an email and I will resend the awards to you.